Piano Master: The Oscar Peterson Story is a star-studded tribute to the master pianist and composer. 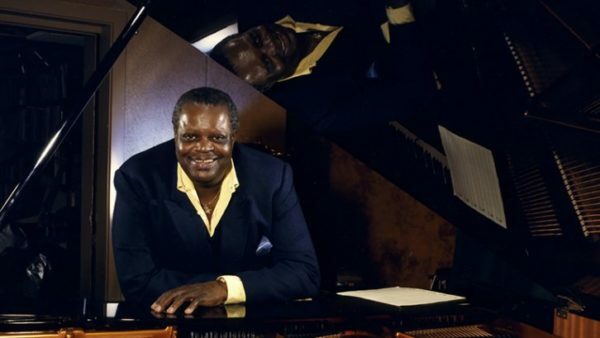 Six extraordinary pianists with deep connections to the legend will perform a collection of Oscar Peterson compositions—some of which have never before been heard—and a few new originals written in his honor. The lineup features NEA Jazz Master Kenny Barron, Afro-Cuban jazz legend Gonzalo Rubalcaba, rising stars Gerald Clayton and Ben Paterson, and Peterson’s two protégés: Robi Botos and Benny Green. This special event celebrates the 70th anniversary of Peterson’s unforgettable United States debut, which took place at Carnegie Hall in 1949. In addition to stunning solo pieces, they will also perform small group numbers with the most perfect rhythm section imaginable. Drummer Jeff Hamilton and guitarist Ulf Wakenius each spent years playing in Oscar Peterson’s Trio and Quartet and in small groups led by Ray Brown, Peterson’s longtime bassist. Brown’s main protégé and legacy-keeper is tonight’s music director, bassist John Clayton, who has also spent more than 30 years co-leading the unstoppable Clayton-Hamilton Jazz Orchestra with Jeff Hamilton. This group has the kind of chemistry, virtuosity, and first-hand experience of which most tribute projects can only dream. To top it off, vocalist extraordinaire Paul Marinarowill join on a couple of special tunes, highlighting the important influence that the Nat “King” Cole trio had on Peterson’s own groups. Peterson’s daughter Céline Peterson will host the event, providing rare and enlightening insight into her father’s brilliant mind. It’s been 70 years since Peterson first graced our country from Canada, and his incredible legacy lives on through the artists and fans bringing their love to the House of Swing tonight.